Tribal Perspectives is an exciting multi–cultural event with lectures and exhibits of precious artefacts from rapidly diminishing cultures. Tribal Perspectives was launched in 2007. It began in a single gallery space off Portobello Rd, Notting Hill, London. It was then, and still is today, the only quality tribal art event being stagged in the UK. The initial sucess of the exhibition led to its steady expansion with each year prominate dealers joining, resulting in the attendance and awareness of the event increasing significently. To lift the profile further in 2009 the show was moved to the heart of the London gallery district in Cork Street,Mayfair. The event combines artefacts with learning via a programme of lectures,providing a focal point for a deeped understanding of the art and the cultures who created it. The fourth Tribal Perspectives exhibition showcases some of the most beautiful art made by humanity. Rare textiles, artefacts and books will be presented, with a lecture about Oceanic tribal art and its cultures. Tribal Perspectives 2010 presents an opportunity to view this unique and diminishing art presented by a select group of specialist dealers. Eight established international tribal art dealers will exhibit: From London, Tribal Gathering (African Tribal Art and Adornment), Clive Loveless, (Rare Textiles and Primal Forms), Charles Vernon-Hunt, (Collectable Tribal Art Books). New to Tribal Perspectives, collectable textile dealers, Molly Hogg and Joss Graham, add colour by exhibiting rare Asian, African and South American textiles. UK dealer, Wayne Heathcote, will exhibit fine Oceanic Art; Chris Boylan, presents art from New Guinea and Aboriginal Australia and from Netherlands, Louis Nierijnck with Primitive Art from Africa and Asia. All are experts in their field and will exhibit works selected for their quality and rarity. 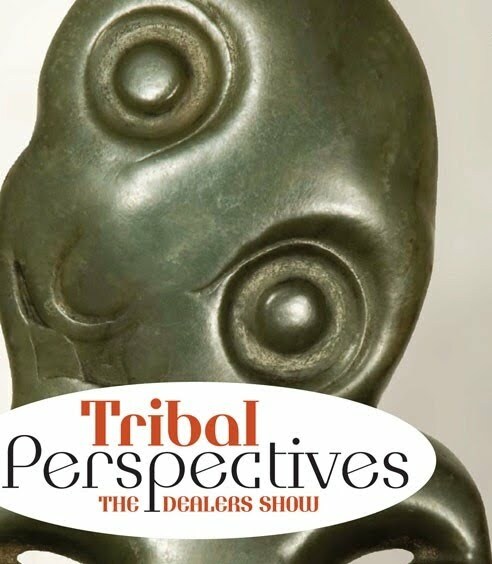 Tribal Perspectives 2010 follows the Parcours des mondes, Paris, and is the only London annual exhibition for collectors and enthusiasts of tribal art. For the second year, the dealers will exhibit in the heart of Mayfair, at Galleries 27 and 28 Cork Street, W1. The event has become the British focal point for UK and international collectors of tribal art since the demise of the HALI Textile and Tribal Art Fair in 2006. For those passionate about authentic tribal art this is an opportunity not to be missed. The exhibition will also appeal to those interested in abstract or modern art, with which tribal artefacts have a close affinity. The past decade has seen an increased awareness of the timeless appeal and increasing rarity of tribal art, as indicated by the record prices achieved in leading auction houses. The event showcases the very best of each dealer’s collection. It also reflects their own spirited life-long expeditions and passion for acquiring unique pieces - from intricate 18th century Asian textiles, powerful New Guinea Fighting Shields, to the exquisite beading of Sudanese Dinka wedding corsets. Tribal Perspectives 2010 provides a focal point for a greater cultural understanding. At a time when ancient cultures are vanishing, this is a rare chance to appreciate their art, within the city of London.